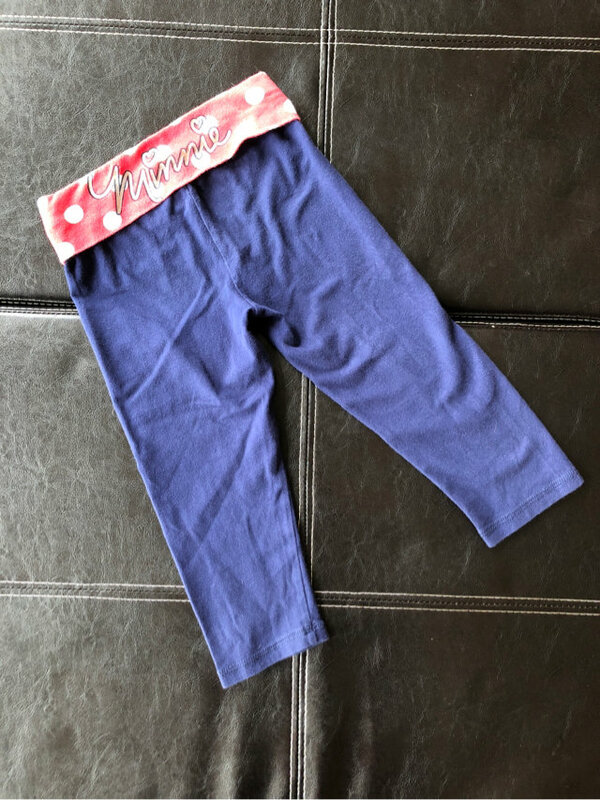 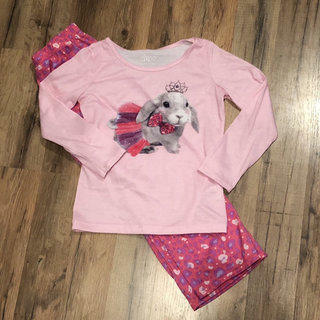 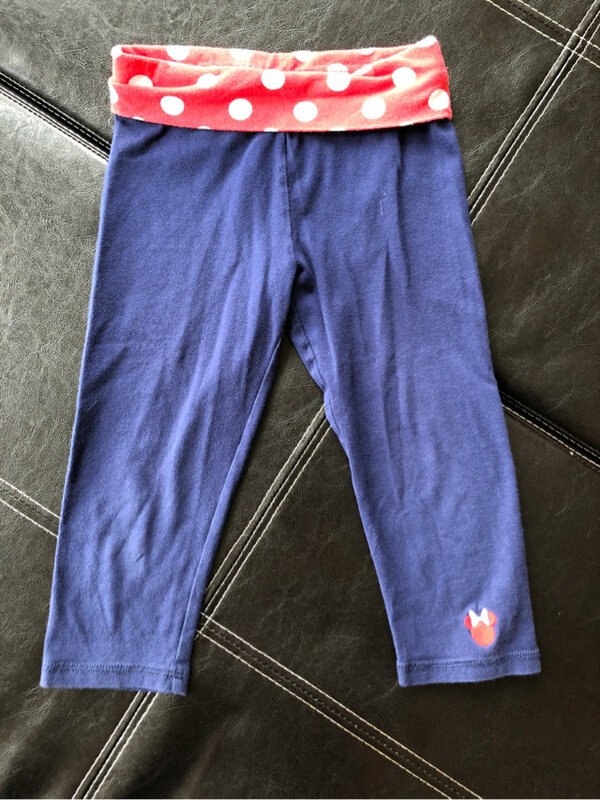 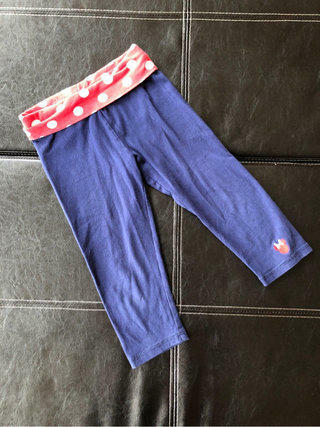 These are an adorable pair of yoga capris by Disney/Jumping Beans. 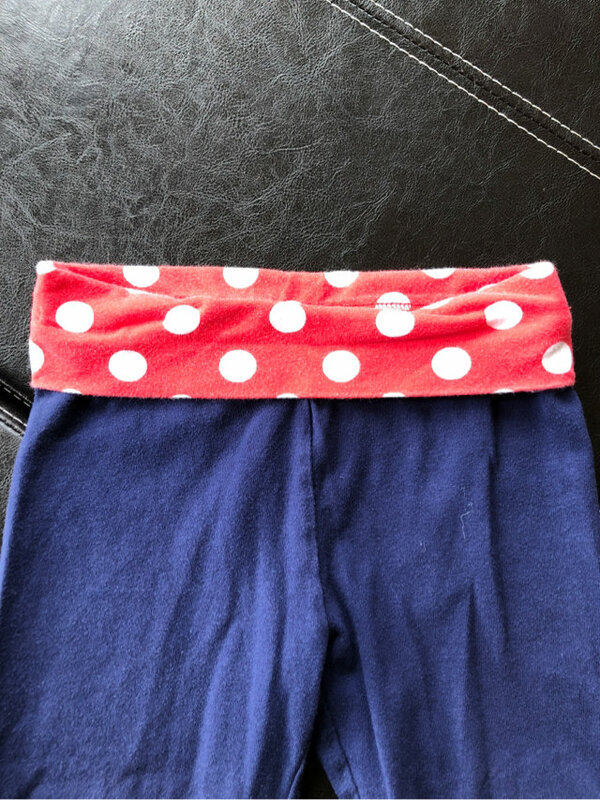 The color is navy blue and the waist is red with white polka dots. 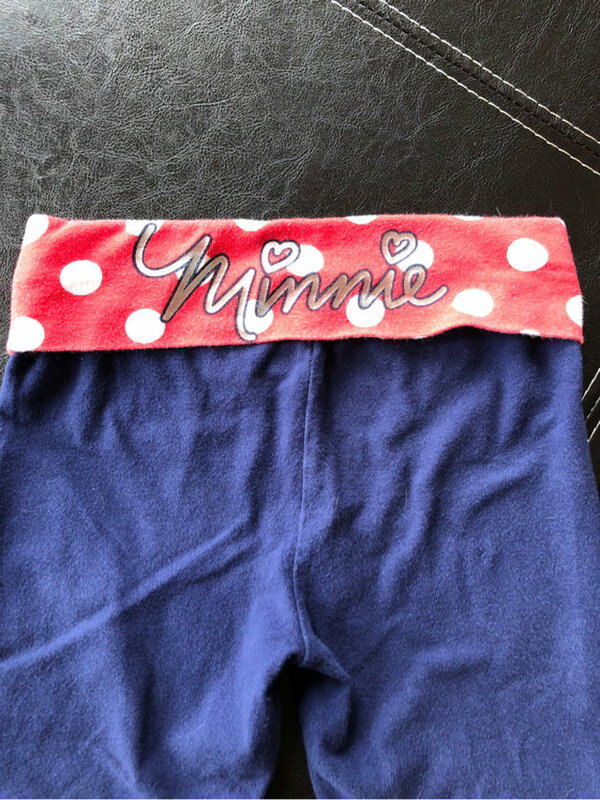 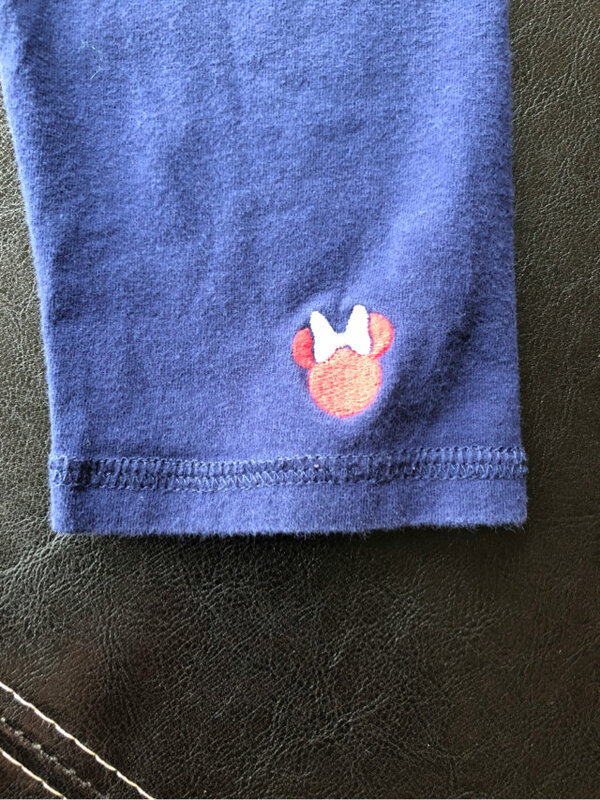 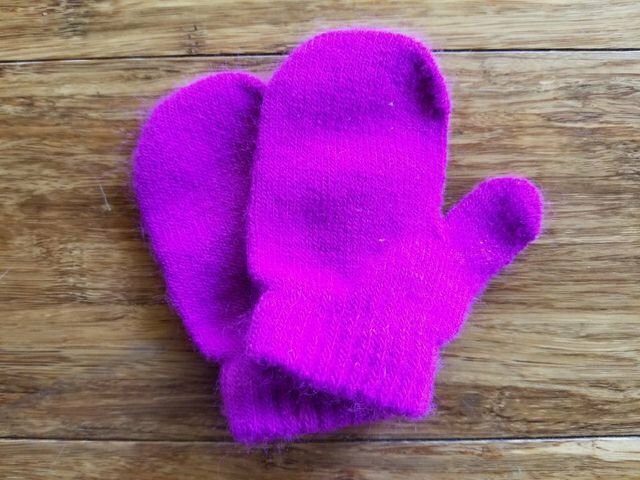 A cute little Minnie head is on the bottom of one leg and on the waist in the back is “Minnie”. 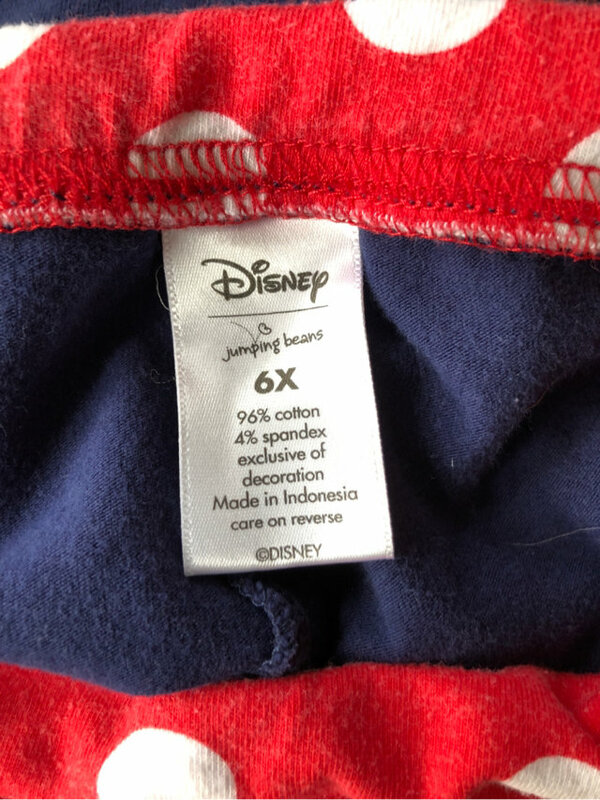 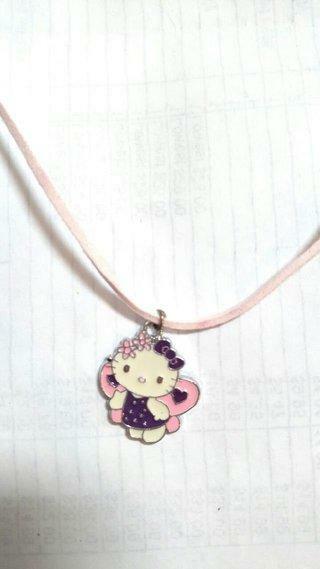 Size is 6X.